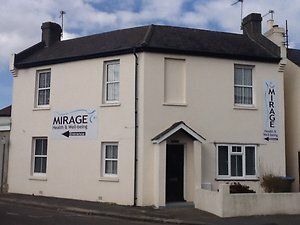 Since 1997, Mirage Health and Wellbeing has provided complementary therapy for Bognor Regis as well as Chichester and Littlehampton, designed to help alleviate pain, stress and other ailments, while taking into consideration the body and mind in its entirety. With Mindfulness Cognitive Meditation, Massages, McTimoney Chiropractic, Reflexology, Reiki, Ear Candles, Chiropody and Podiatry treatments; the care is from head to toe. Click here for further and more detailed information on Counselling and Hypnotherapy at www.counsellingbognor.co.uk. Click here for further and more detailed information Sports and Injury Massage, plus a wealth of background information at www.andyfarmer.co.uk. Click here for further and more detailed information on painless laser hair removal, plus a wealth of background information at www.essentiallaserclinic.com. 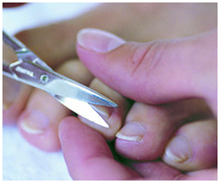 Click here for further and more detailed information on microbladeing, plus a wealth of background information at www.paula-phibrows.com. A different and more advanced laser hair removal machine than most and unlike others, this doesn’t cause pain. Why feel pain when you simply don’t need to? Most of us, men and women, know that waxing can be a rather painful process but less of us realise that so too can some laser hair removal treatments. They’re often described by those who’ve used them as providing a ‘sting’ that feels similar to an elastic band snapping on your skin. The state of the art Soprano Pain Free Hair Removal Laser helps you achieve super smooth skin and hair removal without pain. Our Soprano Pain Free Laser Hair Removal is also perhaps the closest thing that one can get to permanent hair reduction and predictable which makes it cost effective for you. The most popular Soprano Pain Free Laser Treatment areas for hair removal for men are chest, back and abdomen whilst with women, it’s upper lip, under arms, bikini and of course, legs. A cutting edge method of semi-permanent makeup design to enhance the eyebrows. Also known as 3D brows, is a relatively new method and is done by using a very fine blade to deposit pigment into epidermis. The strokes appear crisp and fine, without any spilling under the skin. Microblading is ideal for people wanting to enhance the look of their eyebrows, people suffering from alopecia, trigonometrical or any other conditions that causes hair loss. Crystal Therapy realigns the bodies Chakras [energy centres], plus it may enable the body and mind to work and function more effectively. 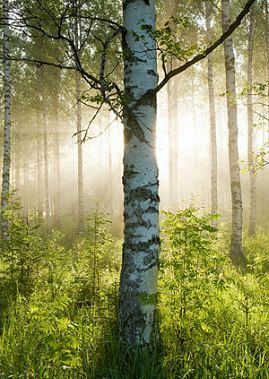 Lastly, it assists in your finding peace with the natural world, and in turn, yourself. If you are a therapist, with an existing practice, carrying out different therapies to those already offered, then feel free to contact us and discuss our working together here at Mirage. Join our merry band! Reflexology may enable beneficial changes in the body as areas on the foot are massaged. We believe that working these points or areas can help aid relaxation, improve mood, release tension, enhance sleep whilst generally helping to improve wellbeing. Channelling the universal energy that surrounds us, your body can be encouraged to realise the potential of its own self-healing capabilities. Effective counselling, psychotherapy and hypnotherapy is an opportunity to talk privately about problems and experiences - and then letting them go. Helping you to feel relaxed and at your best at all times, we offer a range of massages from the healing to the therapeutic. From Sports Massage to Aromatherapy Massage. Central Location In Bognor Regis, yet serving clients across West Sussex and Hampshire including Selsey, Chichester, Worthing, Portsmouth, Havant and Littlehampton. We provide a range of complimentary therapies and treatments that consider your body in its entirety to help improve your health and wellbeing.